Hii! This is Ankit Pachisiya from Hyderabad, India. I recently purchased the most talked about car of nowadays i.e. 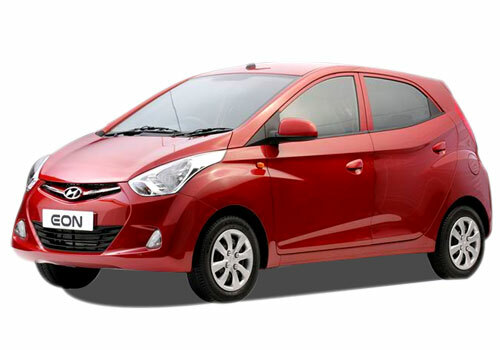 the all new Hyundai Eon Era Plus. It’s a nice car as far as some things are concerned. If we talk about the looks of the car it has a cute look and it comes in a very spicy range of colours. The car is an eye-catchy one and I feel good when I take it on road. I have a red coloured Eon and its cute and stylish. The car’s interiors are also nice. The car has an elegant desktop, an AC with heater, music system, nice power steering and all the necessary features. The car gives a satisfactory mileage that is a very positive point of the car. I am very satisfied with its performance as far as the mileage of the car is concerned. The car is very smooth to drive. And it feels like a cake walk to drive it on road. One more thing which attracted me most about the car is the low and reasonable price of the car. The car comes in a very affordable price which attracts the middle class of the Indian masses. Also the car’s satisfactory mileage also attracts the masses of India. Apart from all these good factors about the car there is also something which a big disappointment about the car and that is the low comfort and less amount of space provided from the car. The car provides very less space. It has a confined legroom and is highly comfortable. I’m very familiar with the highways and go for a lot of trips almost every month and the less space and comfort is a big drawback.